Android Oreo is available since last February but many devices didn’t receive the update yet or never will (Huawei P9, Galaxy S5 and S5 Note, Sony Z5 series, ZenFone 2, HTC 9, Nexus 5 & 6). Don’t worry, thanks to Smart Launcher 5 you can get several of the major Android Oreo features on your device even without the system update! Icons in the home screen notify new events with a colored dot. A new icon format that ensures bigger and better-looking icons. 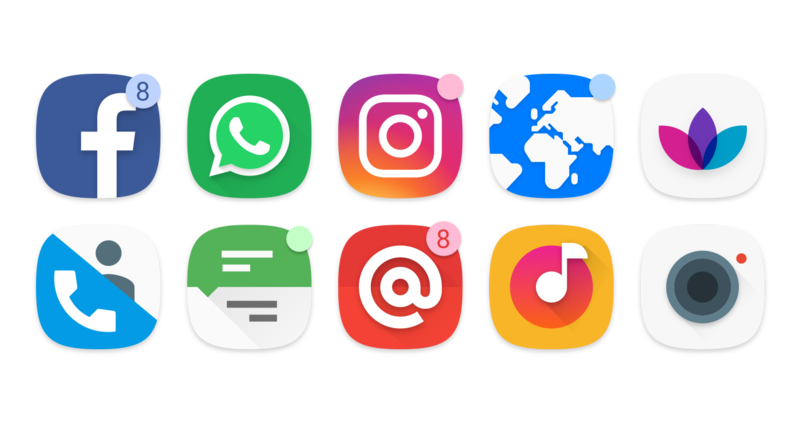 4 – Enjoy Adaptive icons and Notification dots on your smartphone!